The nice folks at Daily Beast have compiled a historical collection of blizzard photography, covering the storms that have hit the US and paralyzed various cities in the US, from Boston to Seattle. I still think ours is one of the more impressive. Somehow they also left out the Knickerbocker Storm that set DC’s record back in 1922 with 28″ of snow, though, so I’m not sure how totally comprehensive the piece is. 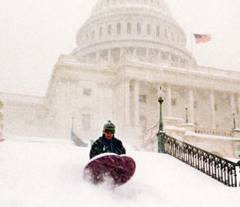 Still, worth a look, for the photos of DC in the Blizzards of ’78 & ’96. 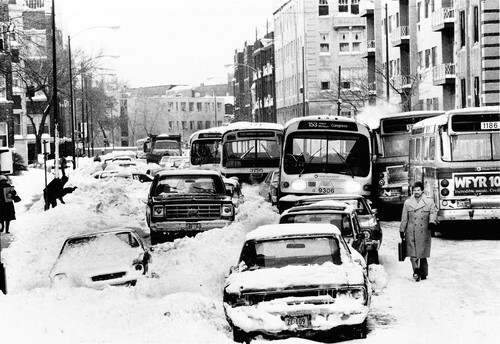 Also missing, the Chicago Blizzard of 1979 (which incidentally, my youngest sister was born during).